Free Telescopes for Schools – what a wonderful idea! A colleague reminded me recently that when you think about it, there are really only two concepts that fascinate young kids; Space and Dinosaurs. Okay, so this is a gross generalisation, but with work with me here. Somebody in England has cottoned on to the first part of this. 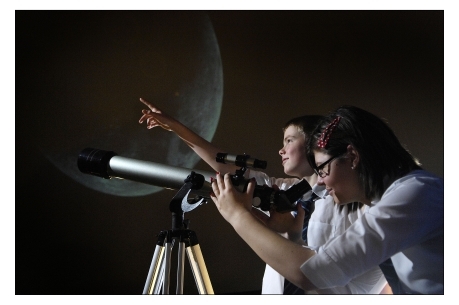 The Society for Popular Astronomy (SPA), Royal Astronomical Society (RAS) and Science and Technology Facilities Council (STFC) have teamed up to give free telescopes to 1000 secondary schools. But at least both of these topics are on the school syllabus right – especially seen as we seem to want to encourage more young un’s to take up Science? Welllll . . . Umm . . . Ehhh . . .Hmmmm . . .